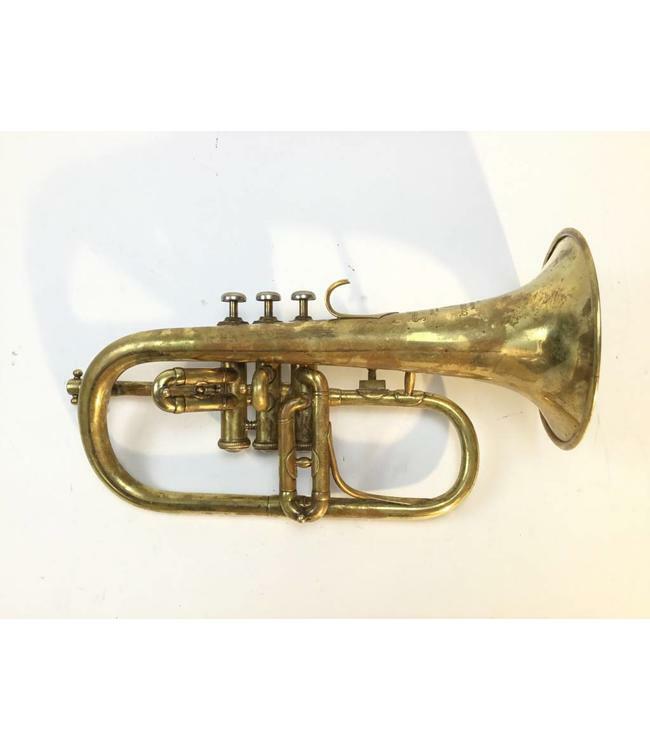 Used Couesnon Eb Flugel horn in raw brass, circa 1909. Instrument is in very good condition for age and valves show wear. Stamping on bell: Hors Concours, membre du jury, 94 Rue D'Angouleme, Paris. Includes original case and period mouthpiece. Sold as is.